Click Here for More Delicious Weight Watchers Dessert Recipes! 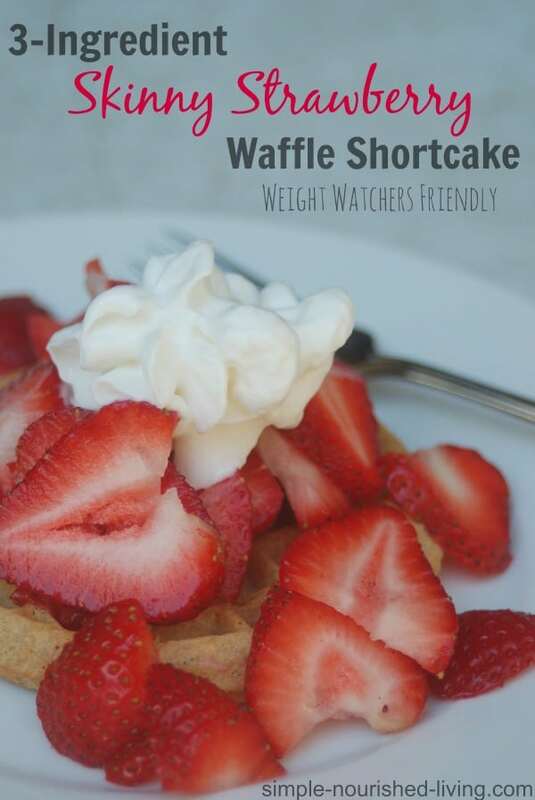 This skinny strawberry waffle shortcake is the perfect, simple + delicious, no-bake summer treat, we Weight Watchers can feel good about indulging in anytime. Just top a toasted whole grain waffle with sliced strawberries and a dollop of whipped topping. Waffles are a healthier low sugar alternative to most other strawberry shortcake bases. Enjoy it all summer long when strawberries are at their best. Or make it for breakfast topped with a large dollop of vanilla Greek yogurt and a sprinkle of granola. According to my calculations, each skinny strawberry waffle shortcake has 113 calories and *3 Weight Watchers PointsPlus, *3 Weight Watchers SmartPoints, but this will vary depending on the waffle you choose. This recipe makes 1 serving but it can easily be doubled, tripled or multiplied to accommodate a crowd. 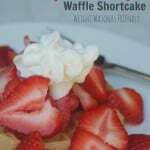 If you like this easy, low calorie strawberry waffle shortcake recipe, be sure to check out some of my other easy, healthy Weight Watchers friendly dessert recipes including Skinny Berry Ricotta Tiramisu Parfaits, Low-Fat Lemon Bars, No-Bake Strawberry Cheesecake Parfaits, Easy Strawberry Shortcake Cookies and Easy 3-Ingredient Strawberry Frozen Yogurt. Just 3 simple ingredients come together in minutes to make a simple and delicious skinny strawberry waffle shortcake kids and adults of all ages will love. Toast the waffle according to the package directions. Place it on a plate and mound the strawberries on top. Dollop with the whipped topping and serve.